The World is more fun from a Tuk-tuk | Life. Crazy. Beautiful. 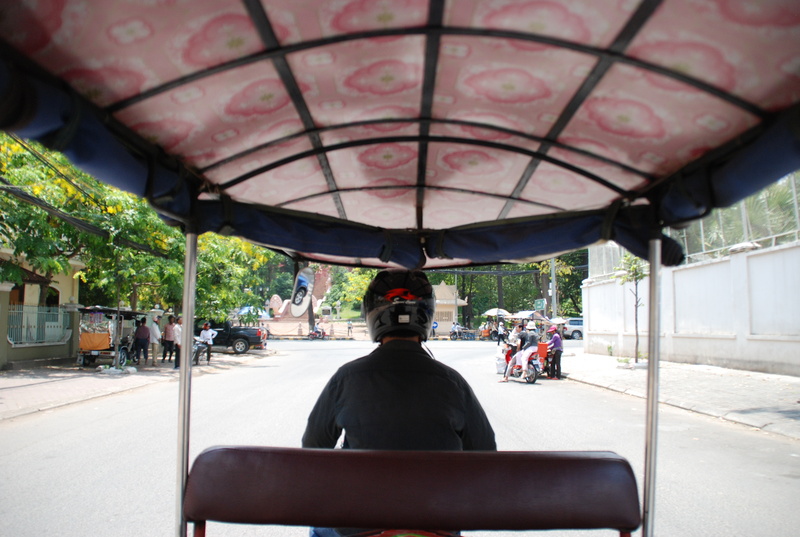 I’ve been home from Cambodia a week, and in my head I’m still riding around in a tuk-tuk. Tuk-tuk is actually the Thai word for a car without walls (or so I’ve been told), but it seems to have been adopted in Cambodia. 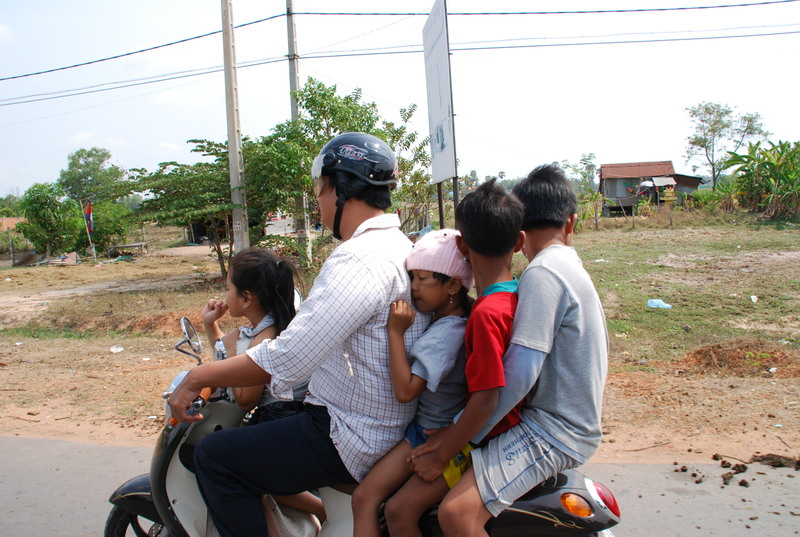 In Cambodia they are really a carriage of sorts, designed for passengers and attached to the back of a motor bike. Tuk-tuks are mainly used for taxis, and their users can unhitch the carriage when they just want to use their motor bike. Each owner decorates their tuk-tuk differently – which is partly to help you identify your tuk-tuk driver in a crowd (they often wait for passengers for the return trip after dropping them off), but is also simply an expression of the owners’ taste. The tuk-tuk’s in Cambodia were impressively clean and well cared for, and the variety in decoration and colour was impressive. The thing about Tuk-tuks is, they are great fun to travel around in. You really feel like you are riding, fresh air blowing against your skin, wizzing around amongst the traffic. Years ago I had a Suzuki Vitara softop with no roof, and minimal walls. Ah – those were the days. I miss it still. You see, when you travel around without walls (or a roof, or neither), you actually feel like you are there. You are in the place you are travelling through, not locked up in a little bubble looking out at it. You can reach out and touch the world as you pass (especially in Cambodia, the world passes particularly closely), hear all the sounds and smell the life around you. Not only that, it is a communal experience. Everyone is out travelling along together. 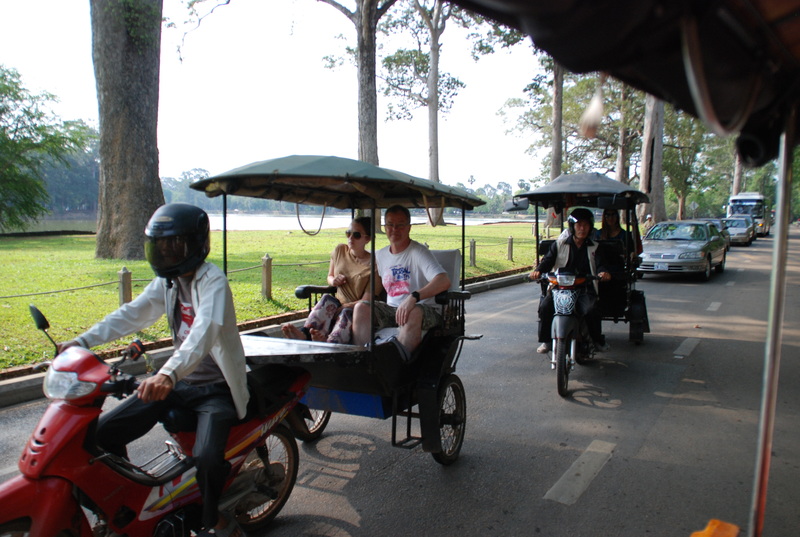 Seeing someone you know pass in a tuk-tuk feels very different to seeing them pass in a sealed air conditioned car. Part of me wishes that tuk-tuks would take off in Australia, so I could go wizzing about in them here. But I fear the Health and Safety nuts will never let that happen. It seems I will just have to keep planning overseas adventures, and enjoy tuk-tuks in their natural habitat – swarming smiling Asian cities. 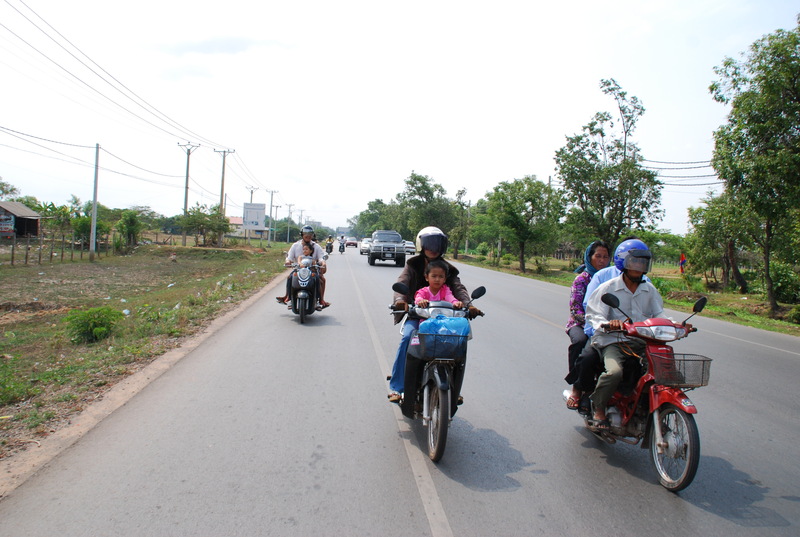 This entry was posted in Uncategorized and tagged Cambodia, travel, tuk-tuk by Nimmity. Bookmark the permalink. Looks like a lot of fun. It does look more of a miniature carriage. Riding a Tuk Tuk is so much fun!! !